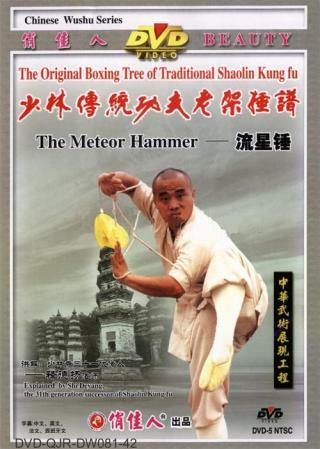 Shaolin Mateor Hammer (Shaolin Liuxing Chui) is a soft weapon of Shaolin. It is convenient to carry, can be used as a rope on trip and will not be easily discovered. But it is the most difficult soft weapon and not easy to handle as other short or long weapons. Only through extensive training, you are able to perform it in a straight line like a staff or spear and with the power of a big iron hammer.